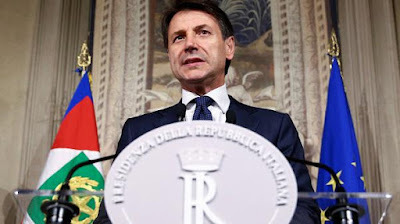 Italy’s president swore in Giuseppe Conte on Friday as prime minister of Western Europe’s first anti-establishment government whose aim is to cut taxes, boost welfare spending and overhaul European Union rules on budgets and immigration. Conte, a 53-year-old law professor, must now win confidence votes in parliament next week. The parties backing Conte — the far-right League and the radical 5-Star Movement — have solid majorities in both houses.